Mark & Caroline are William and Mary alumni. They met at William and Mary, fell in love, and even got engaged. It only made sense to do a William and Mary Engagement Session. This place has so much meaning and represents so much in their relationship. Even though they live up in DC, I am so glad we were able to do their engagement session where it all began. We met up with them this past Saturday on a very hot hot day!!! However, the heat didn’t deter us from having a great time with this sweet couple. Caroline and Mark fit together perfectly. It was like they always knew one another and when they finally found one another their hearts did a little happy dance inside. The way they laugh, embrace, and find total confidence in the other remind me of that couple in the movie UP. Full of love and happiness. 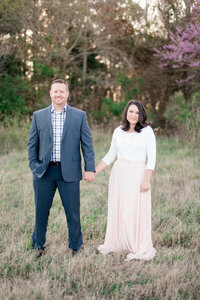 Their wedding will be held next June at Two Rivers Country Club in Williamsburg. Their wedding is going to be amazing and we cannot wait to see Caroline as a beautiful bride and watch that moment that Mark sees her coming down the aisle. It will be a beautiful day for sure! Thank-you Mark & Caroline for such a fun time this past weekend. We adore you both and cannot wait to see you again! Here are some of our favorites from your session! This right here is everything. This is the bench that Mark proposed to Caroline back in March. It is the bench where she said yes. As we visited this bench and had them tell us their proposal story, I asked them to say a prayer together over their future marriage. It was a beautiful thing to witness. Mark began and then Caroline finished. As Caroline thanked God for her future husband and this moment, tears welled up in Marks eyes. Both of them so grateful that their hearts found one another and both of them so excited for their future together. Enjoyed looking at these beautiful pics!